Do you have a drum at home that needs repairing or tuning? Come and learn the art of drum making with King Marong! 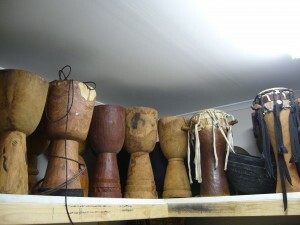 Chose from a selection of hand carved wooden drum shells from The Gambia and Guinea, �or bring along your own shell. King will guide you through the drum making and skinning process, providing detailed step by step instruction and manual assistance. 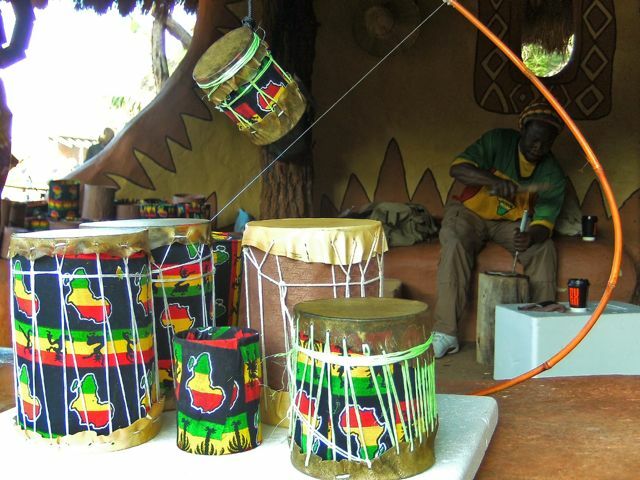 �Book into one of our group drum making workshops and we will provide you with a delicious Gambian lunch at no extra cost. Cost of the drum making workshop depends on the shell you chose, �costs start from $300 inclusive of all materials and instruction. Contact us for a description of current stock. We also offer an instrument repair service. Also available are children’s string instrument and small drum making workshops, perfect for school incursions, kids parties or as a childcare activity.